Community engagement workshop from the City for Peace London project. BCBN is delighted to announce our collaboration and partnership with Football for Peace and its ‘City for Peace Young Ambassador Programme’. The project kickstarted in January 2018 and has engaged communities to come together in support of nurturing a tolerant society. Football for Peace are a diplomatic sports movement, that aim to use the game to promote peace and understanding within society. With the mutual aims and objectives to promote and nurture interfaith diplomacy, dialogue and understanding in the youth, BCBN and Football for Peace utilise the cohesion that football and sport provides to stimulate important positive social change and understanding for the youth in this unique project, ‘City for Peace Young Ambassador Programme’. 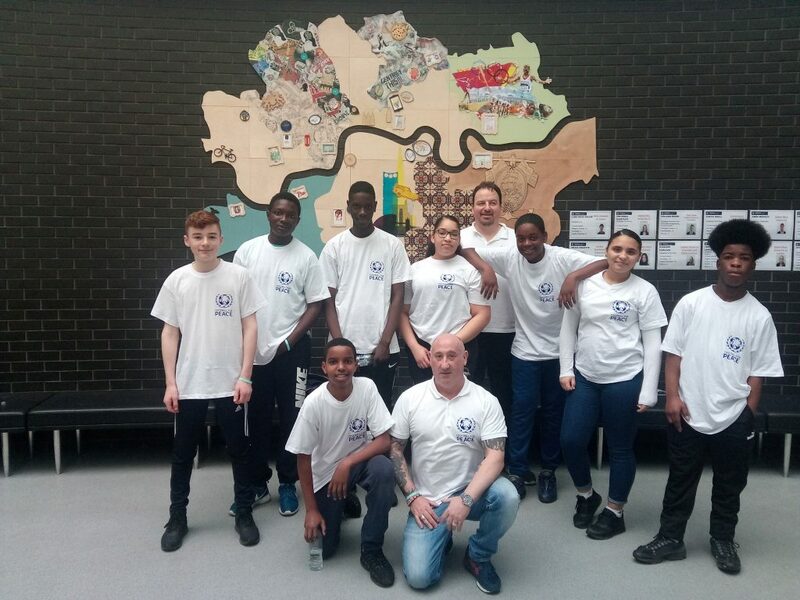 Working with communities that have previously held historical distrust, disharmony and unrest, the ‘City for Peace Young Ambassador Programme’ aims to reduce conflict and promote peace, by implementation of tailor-made workshops and training courses. By funding the ‘City for Peace Young Ambassador Programme’, BCBN aims to support efforts on a grassroots level to engage the youth and further develop tolerance and harmony within our communities. Over a 2-year period, the programme aims to enable 1,600 participants from a wide range of society to come together. It will allow for greater exposure for the participants to persons of other backgrounds, cultures and faiths, leading to increased awareness and tolerance. By training and completing the programme, Youth Ambassadors will increase their skills and employability and will be able to utilise the knowledge they have gained during training in their own communities. The ‘City for Peace’ programme have been launched in various cities across the world and has been met with support on an international level, with the backing of many noteworthy dignitaries, businessmen, sportsmen and representatives from the wider business network. BCBN is pleased to be involved and to contribute to the development of a programme, that paves the way for an increasingly tolerant and cohesive society, by investing in the youth of today. Copyright ©2012 Better Community Business Network. Reg Charity No1151484. All rights reserved.